People and organizations with differing backgrounds and expertise joining forces for the benefit of the animal kingdom – that is at the core of what Conservation Centers for Species Survival (C2S2) is all about. 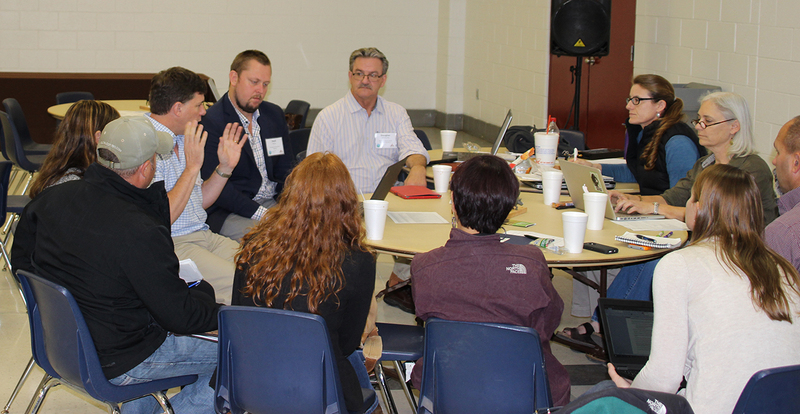 Members of the organization, along with other interested parties, converged on Glen Rose, Texas, for the C2S2 Annual Meeting on April 12-13. 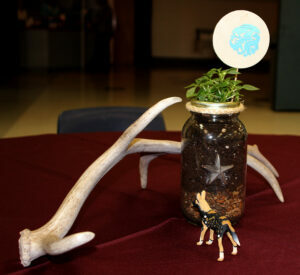 It was hosted by Fossil Rim Wildlife Center at the Somervell County Expo Center. C2S2 is comprised of full members African Lion Safari, Austin Savanna, Center for the Conservation of Tropical Ungulates, Fossil Rim, Omaha’s Henry Doorly Zoo and Aquarium, Smithsonian Conservation Biology Institute, the Wilds, and White Oak Conservation. It also involves affiliate members Disney’s Animal Kingdom, Endangered Wolf Center, Nashville Zoo, National Zoological Gardens of South Africa, Tampa’s Lowry Park Zoo and Taronga Western Plains Zoo. Founded in 2005, C2S2 became a 501(c)3 nonprofit in 2015. This was the largest-ever C2S2 annual meeting. In the foreground, a working group breakout session for “Animal Health and Management of Sustainable Populations” is in progress, while “Big Herds: Source Population Alliance” discussion occurs across the room at Somervell County Expo Center. 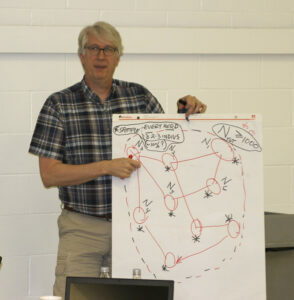 Day one of the meeting was geared toward presentations, while day two focused on group discussion. 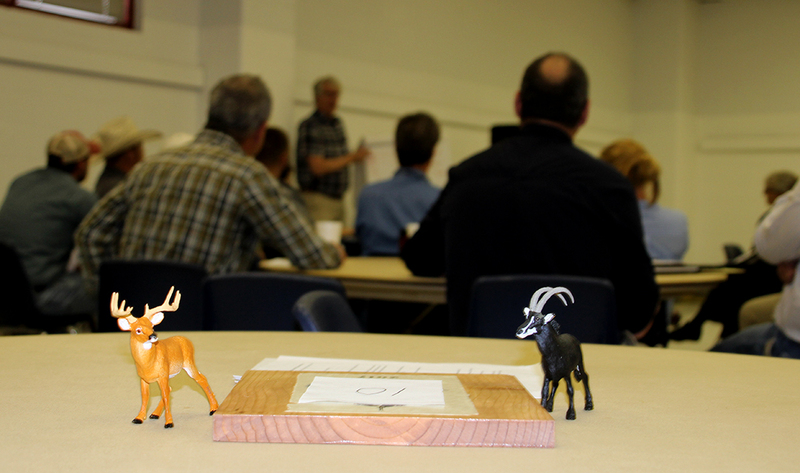 “We structured the meeting around our three-step process for all species,” Palfrey said. “Grow – growing populations in space. Optimize – optimizing populations in space. Return – returning species to the wild whenever possible. Speaking of “bringing together,” Palfrey has learned over time just how important that concept is to C2S2 at its core. “I’ve found that we really are playing the role of organizer and facilitator among different groups, and it’s a much-needed role,” she said. “If a group of constituents is interested in a particular species, but they don’t know how to get that off the ground, our ability to put them in touch with those who can help them makes a big difference. The opportunity for conservation centers has to do with (land) space and expertise. In order to progress, it was important for us to understand the need for more partnerships between these centers, private landowners and zoos, while also considering what each has to offer. Kelley Snodgrass, Fossil Rim COO, shares his thoughts during a working group breakout session for “Big Herds: Source Population Alliance” on day two of the C2S2 Annual Meeting. The increased involvement of private landowners has been huge for the continued progression of C2S2. They were quite vocal during the discussions of Source Population Alliance, which is a program operating under the C2S2 umbrella since 2014. “While landowners were mainly here for Source Population Alliance (SPA) matters, it was extremely beneficial to have these folks participating in all the discussions,” Palfrey said, considering the Alliance is primarily a hoofstock-centered program thus far. “For example, we were delighted to have private landowners in the conversation about actions for red wolves. There are concerns for folks who have livestock about red wolves, so having landowners’ perspectives in the mix will help us determine how best to move forward. And having people from the Endangered Wolf Center, one of our newest members, on hand to talk about red wolves was great. Kevin Reid, a private landowner who was attending his fourth C2S2 meeting, was very enthusiastic about what can come of this partnership development. He is the owner of Morani River Ranch, which is home to more than 80 wildlife species – including SPA-focus animals like sable antelope, scimitar-horned oryx, addax and addra gazelle. Reid also represents the nonprofit organization Stewards of Wildlife Conservation, which develops all of the wildlife management and conservation plans for the ranch. Reid talked about how the different players involved in SPA have a wide variation in terms of numbers of animals, as private landowners actually have the largest numbers of hoofstock in most cases. He said SPA participants have toured each other’s facilities and ranches, as they learn about what methodology is leading to the most success in animal health and reproduction. “We have to be willing to share info and collaborate, which unlocks the power of SPA and C2S2,” Reid said. An example of the discussions at hand came up regarding blood samples needed by the genetic scientists. While many attendees might prefer the merits of the group discussions, Reid really looks forward to the individual presentations each year. 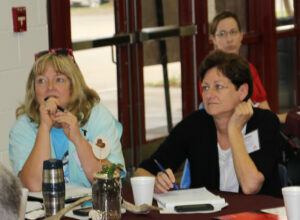 Tessa Chenoa Ownbey, Fossil Rim director of education, and Cynthia Bennett, C2S2 program manager, listen during the working group breakout session regarding songbirds. As issues have come up with his animals at Morani River Ranch over time, Reid has seen this C2S2 connectivity step up to meet the challenge. As C2S2 Board Chairman and a senior scientist at Smithsonian Conservation Biology Institute (SCBI), David Wildt, a founder of C2S2, has attended every meeting since 2005 and can really speak to the organization’s evolution. “C2S2 has changed from being a small organization of five breeding centers under the umbrella of the AZA – sort of a club-like environment – to an all-inclusive organization,” Wildt said. “Now, we have a lot of smaller organizations, some traditional urban zoo involvement, the private sector interested in endangered species and conservation breeding centers. We’re a flexible organization that isn’t big on a lot of rules and policy. We believe in progress through meetings like this right here in Glen Rose. Wildt noted how great it was to see to see scientists interacting with ranchers for the first time during the group discussions. 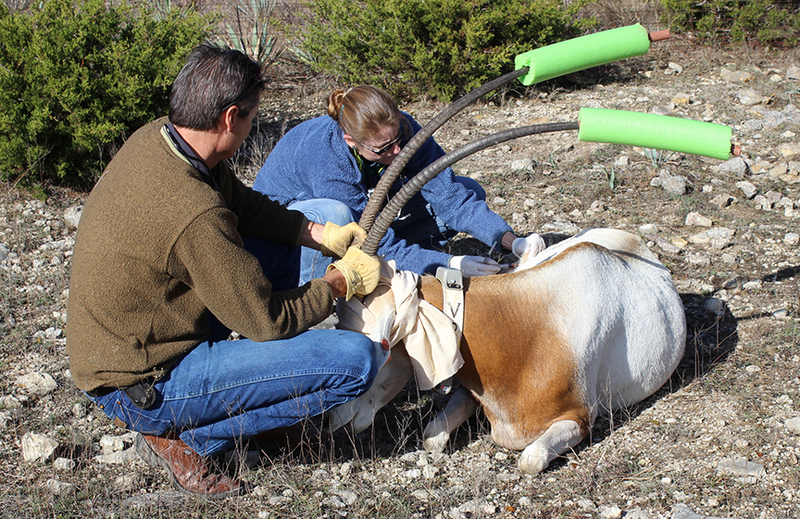 Whether it is the GPS collar study that was conducted at Fossil Rim in advance of the 2016 scimitar-horned oryx reintroduction to Chad or the creation of the Songbird Survival Program with a focus on the loggerhead shrike, Wildt pointed to initiatives that originated from C2S2 meeting discussions. Like Reid, Wildt drove home the importance of the partnerships that Palfrey, C2S2 Program Manager Cynthia Bennett and Program Coordinator Kristen Culp work so hard to facilitate. With Fossil Rim being both the host of this year’s meeting and C2S2’s “home base,” the occasion was a big deal for the wildlife center. For example, animal care staff members worked in rotation so they could care for their respective species at Fossil Rim and then head to the expo center to participate in meetings. Fossil Rim also hosted an “icebreaker” gathering the evening before day one of the meeting so everyone could get better acquainted. Tessa Townsend, a carnivore care specialist, attended the C2S2 meeting for the first time. Culp was quite busy in the days leading up to the meeting to make sure every detail had been addressed. Executive Director Dr. Pat Condy and Hoofstock Curator Adam Eyres both noted how impressed meeting attendees were with Fossil Rim as a facility, as well as its staff, volunteers, interns and the meeting itself. C2S2 is currently looking to hire an SPA program manager, as well as an executive assistant. For more information about the organization, check out conservationcenters.org.